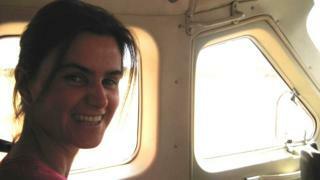 Hours after Labour MP Jo Cox was killed her husband Brendan said she had fought for "a better world". But, long before she set about that work as an elected politician, Mrs Cox had built a successful career in the charity sector fighting human suffering. Eight years working for Oxfam - where she met her husband - enabled her to show inspiring leadership and political intelligence, despite her remarkably young age, her former colleagues recall. Mrs Cox's charity work took her around the world to tackle issues such as poverty and maternal mortality - issues she previously helped put on the European Parliament, as a researcher for Glenys (now Baroness) Kinnock, who was then an MEP. It was around this time, in 1997, when Ed Cairns, Oxfam's senior policy advisor, first met Mrs Cox - quickly coming to regard her as a "key contact" for the charity. "She was about the greatest person I ever met at combining a humanitarian passion with political nous," he said. "It is very rare to have someone with as much political intelligence as Jo had to actually show how you can achieve things in the real world." Together, they worked to convince the EU to establish a new code of conduct in the arms trade, which was successfully adopted in 1998, he said. In 2001, she started working for Oxfam and quickly became head of the charity's Brussels office, where Mr Cairns said she dealt with "one humanitarian crisis after another". Talking to the Huffington Post last year, Mrs Cox herself said: "I would jump on a plane and be in Kabul one week and then Darfur the next." Oxfam's Max Lawson described her campaigning to end the conflict in Darfur as "particularly brilliant" and added: "She was as a ball of energy, always smiling, full of new ideas, of idealism, of passion." Together with Amnesty International, Mrs Cox also pushed for a global arms trade treaty, which was eventually adopted in 2014 after a decades-long campaign. At the 2005 World Summit, she had successfully argued for the international community to agree a "responsibility to protect" and intervene when governments fail to stop crimes against their citizens. Mr Cairns said no matter how many setbacks the charity encountered, Mrs Cox would always stay positive. He said: "She was always the first to get over the dejection of a setback, and in about half a second she would say 'right, we are going to do something else'. "She was completely committed to achieving something tangible rather than just saying the right things." 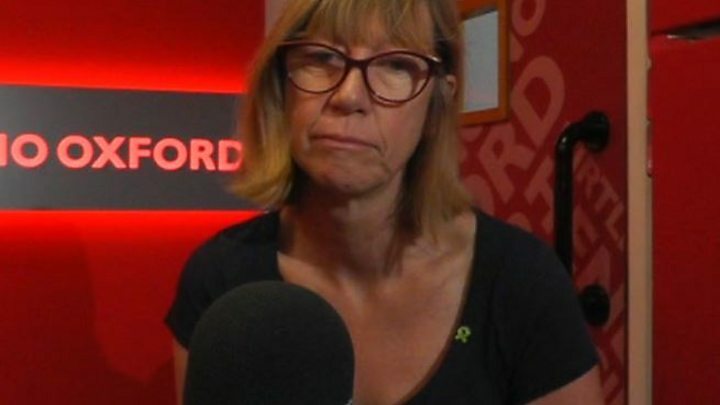 Mrs Cox herself told the BBC: "I've been in some horrific situations - where women have been raped repeatedly in Darfur, I've been with child soldiers who have been given a Kalashnikov and kill members of their own family in Uganda. In 2007, she moved to Oxfam's New York office and became head of humanitarian campaigning around the world until 2009. Mr Cairns said she was instrumental in the publication of a "landmark book" called For a Safer Tomorrow, which analysed how the world's humanitarian policies were changing. "She was remarkably young for such a senior position," Mr Cairns said. "But she had a brilliant touch with everybody that she managed, she really encouraged people and was a great, motivating people manager. "I remember she quite often used the word 'heroic' to describe people's efforts at work, which is ironic really because she has been the real hero in all this." Mrs Cox left Oxfam in 2009 and became the director of ex-Prime Minister Gordon Brown's wife Sarah's Maternal Mortality Campaign, which campaigns for women's right in the developing world. And even when she moved into politics, she continued to work as a strategy consultant for Save the Children and then the NSPCC.